I know a lot of start-ups and met a lot of people from all over the world who own start-ups. Especially in places like San Francisco. But I never worked at one…until now. GoEuro started about one year ago. GoEuro’s CEO Naren Shaam was traveling around Europe. He discovered that it’s very difficult to find your way through all the different bus, train and flight systems and programs. He said to himself; “if no one comes up with a solution for this in two years, then I will create it”. And so the idea for GoEuro was born. GoEuro is a travel search engine that gives you the information to travel from one destination to another, in just a single search. You’ll see the cheapest options to travel but also the waiting time in between flights and the time needed to travel to the airport by car for instance. Naren opened his doors in Berlin (because of the cheaper labour and the upcoming start-up culture) and kicked off with a bang. In just one year GoEuro is already active in 7 countries. At the HQ in Berlin there are about 60 people working from 25 nationalities. My first day at GoEuro was like a world trip in 8 hours. If you’re new at the company you’ll have short one-on-one meetings with all the employees to get to know each other. Since they come from all over the world it was a great day filled with sharing travel, culture and other interesting life-stories. And a lot of coffee. The next day I got briefed on a task to take a look at the GoEuro brand, positioning, website and mobile app. I started with research about the market, competitors, travel trends and technologies. After that I asked deeper questions about GoEuro to some of my colleagues. With all the information in my mind and notebook I started to generate solutions, ideas and different perspectives. One of the hardest things to do is to have a fresh perspective on your own company or brand. I come in with a lot of energy and without any inside information about the company. I can see the brand from the perspective of a consumer and with the knowledge of a marketing professional. 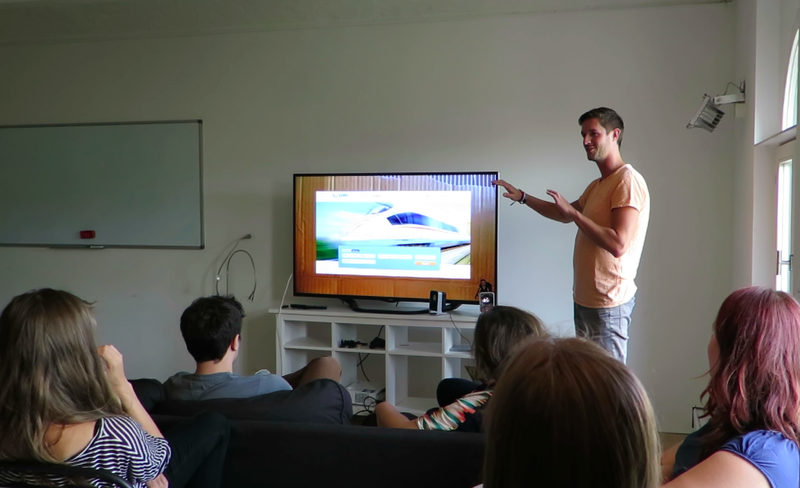 The next morning I shared my fresh perspective on GoEuro with the whole crew. It was a cool session that sparked up the conversation. We discussed different ideas and came up with some simple but smart improvements together. Supertoll! What else did you do buddy? Well, another cool project where I was working on at GoEuro was an idea to promote the city of Berlin and Madrid. Unfortunately I’m not allowed to share more, because the chance is big that we’re going to make it, but if it’s live I will share it with you guys. 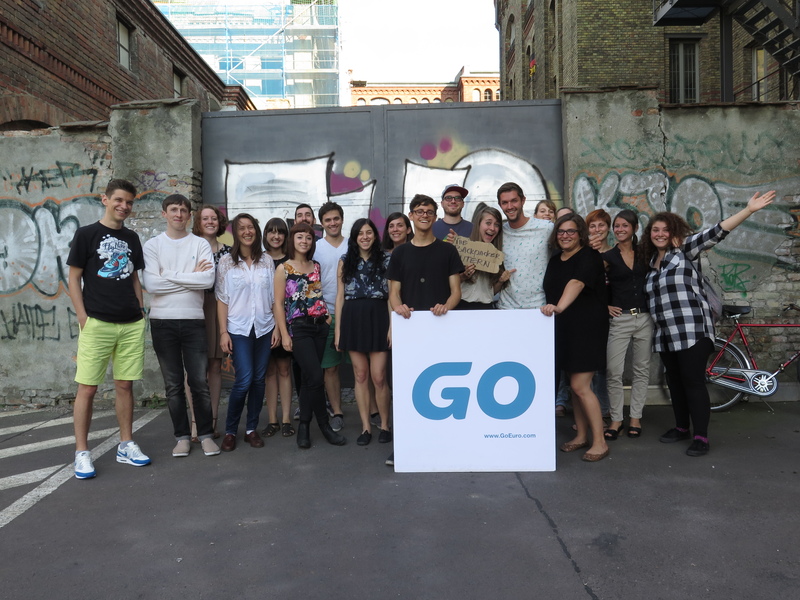 Besides working really hard, there’s one thing that all GoEuro Leute have in common: they love to play! Some love to shine on the holy grass of Fifa 2014 at the lunchbreak. Others party hard at Berlin’s nightclubs in the weekend. They also go and have fun with the whole crew, like Go Karting on a Thursday night. I believe that these ar all great tools to build a strong team and community. Dear friends at GoEuro, danke schön! I learned a lot from you. I hope you guys learned a bit from me as well. In special I want to thank Tess Assen – a cool Dutch girl – who showed me around Berlin the whole week (including a visit to the awesome park Tempelhof) and Simon Wisdom – a smart Australian dude – who learned me some badass SEO skills and shared some great electronic music with me, but hey, what’s in a name if you’re called Wisdom.